Manufactured Buildings Prefab and manufactured building information site. A prefabricated building is a structure that is built in part or whole in a factory. 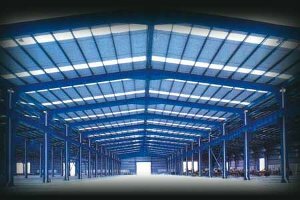 The term is a general one and these factory built buildings are also known as prefab buildings, pre-engineered buildings or manufactured buildings. How much of the building is manufactured and assembled in the factory depends greatly on the size, application and location it will eventually be placed. When using the term building it can be generalized to any factory built structure but typically in relation to commercial, industrial and storage buildings and not homes or housing units. When it comes to prefab buildings generally the more it can be completed in the factory the more cost effective and controlled the construction will be. Benefits to having a structure constructed largely in the factory are reduction of labor and material costs plus build time can be reduced. The idea of having a controlled manufacturing environment is like any factory. The process can be refined and optimized allowing for faster production, less waste, better quality control and cheaper labor costs. These benefits, coupled with a quick assembly time, can make a big difference on the project’s bottom line. Some prefab buildings will be designed and built to be placed permanently while others may be built to be modular and mobile. The modular and mobile aspects can be quite beneficial for some operations and even a large building can be designed and manufactured for relatively easy dismantling and relocation. Although the mobility of a prefab building is a benefit to some, typically it is the costs and ease of construction that is the biggest factor in choosing the pre-engineered building. Prefabricated buildings come in all shapes and sizes as well as material. Some of these include the pre-engineered metal buildings which can consist of steel or aluminum. 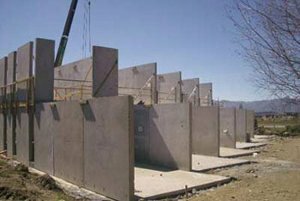 Another example are precast concrete walls which make for easy installation and quick build times. The pre-engineered building can be as small as a garden shed kit to a huge commercial or industrial building. The range and possibilities are endless. Manufactured Buildings Info will provide information to you on these and other various types of prefab buildings, their pros and cons, the various systems and the new methods being designed or refined. Stay tuned. We are an independent resource providing information on prefab and modular buildings. © 2019 Manufactured Buildings. All Rights Reserved.